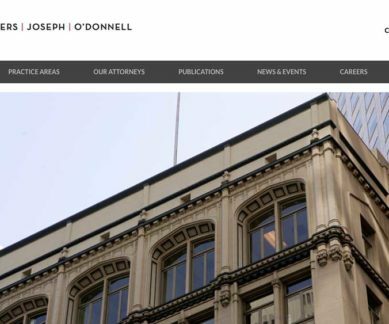 Law Firm Rogers, Joseph, O’Donnell was sitting on a fairly dated website and had identified an increased need for a mobile-friendly which in 2017 was a must-have. We agreed. They also identified a need to update and manage the content themselves. Naturally, WordPress was chosen as the CMS not only for its popularity but also its familiarity as more as more people are comfortable with its features and the barrier to entry is much easier. Additionally, the website design we created was responsive and really provided a seamless mobile experience. The old rjo.com was designed strictly for the desktop experience. With more and more clients and prospects using a variety of mobile devices. 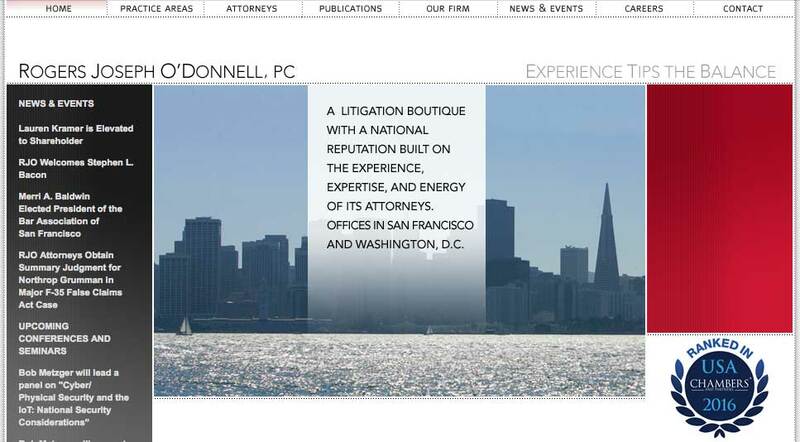 The new website offers a clean design with several visual elements that represent the company. The content mixes dynamic and static content with a clear path for users to locate what they need as easily as possible.